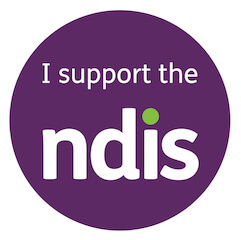 We help you make sense of the NDIS. Our independent NDIS Plan Management and Support Coordination specialists are ready to support you to understand the NDIS, your plan and to find the best service providers for you. Your NDIS plan covers 100% of our fee as long as it includes the support items required, ensuring no out-of-pocket expenses to you. Need help with your NDIS plan? If you’d like help with your NDIS plan, learn more about our services or just want some independent, honest advice, we’re always happy to have a chat. Call us on 1300 002 221 or email us at hello@instacare.com.au. If you have ‘Improved Life Choices’ (Plan Manager / Plan Management) or ‘Support Coordination’ in your NDIS plan, join us and the Instacare team we will partner with you and support you through the NDIS. *Assuming you have provided us with your latest plan, the invoice is correctly rendered and your budget is correctly allocated in the NDIS portal.